Any presentation that you are looking for, we will do the necessary to supply you whatever your sector is. Prawns or shrimps from Wildcatch, Mangrove, Extensive or Aquaculture. Certified shrimps: Organic, ASC, ACC or conventional. Exclusive skin-pack for France with the Italian brand ARBI, for authentic quality recipes. Exclusive range for European market with GOLDEN P.T. 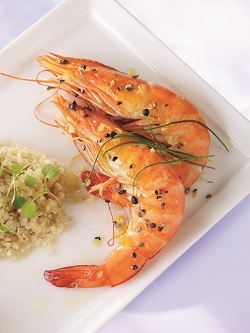 : Wild prawns from Indian Ocean.